If you’ve researched or purchased a used vehicle in Canada since 2000, odds are high that you’ve heard of CARPROOF. A Canadian company, CARPROOF provides valuable information regarding a vehicle’s history as well as a vehicle’s value.  Team Ford believes in the value of this service, which is why we offer CARPROOF reports with all of our used and certified pre-owned vehicles. CARPROOF allows you to buy with confidence—read on to learn how. Alongside these important facts about the vehicle you are looking to buy, CARPROOF also offers their True Value™ service, which gives a fair and unbiased look at what similar vehicles have sold for, taking into account your location, as well as the vehicle’s history. Buying a used vehicle is no less a daunting decision than buying new, it only offers different challenges, and CARPROOF allows you to buy with confidence. Not only can past accidents have an affect on a vehicle’s operation, it can have an affect on its value as well. To date, CARPROOF has found over $12.2 billion dollars worth of undisclosed damage. Another area where CARPROOF provides peace of mind, is in finding liens against vehicles. You could be on the hook for another owner’s financial miscues—CARPROOF has found unpaid liens against 37% of the vehicles they have checked. Don’t find yourself responsible for someone else’s debt, potentially years down the road. CARPROOF provides an incredibly valuable service that can save you money when buying, or validate your claims when selling a vehicle. CARPROOF provides protection and transparency, which is why Team Ford provides a CARPROOF report with their used and certified pre-owned vehicles—because here at Team Ford we believe in the making the process as worry free as possible. Just part of what makes us Edmonton’s best Ford dealership.